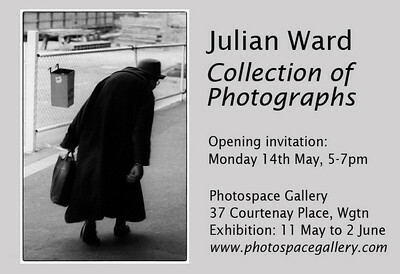 Available from PhotoSpace in Courtenay Place, Unity Books on Willis St for $29 or by contacting me. 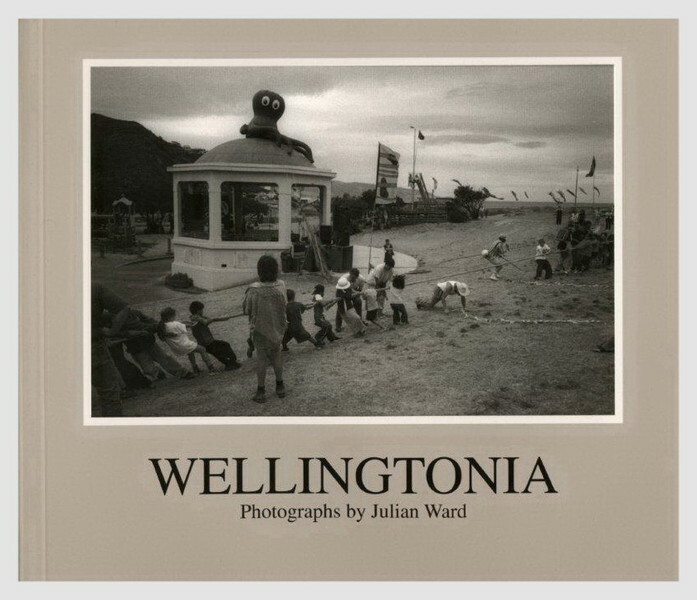 “Julian Ward’s photographs of Wellington, New Zealand’s capital city, uncover surprise after surprise, those off moments from the theatre of life when the actors are caught off guard. He notices things that we could see if we were there, but seldom do. 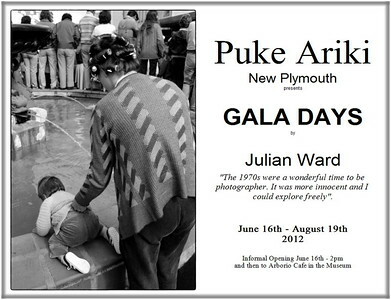 A light mixture of banality and surreal absurdity.” John B. Turner, Senior Lecturer in Photography, Auckland University School of Fine Arts. JUST A WORD… BEFORE YOU LAUNCH (from the photograph on page 9, “…these images, indeed all good photographs, are above and beyond words. They sideswipe them, subvert them, render them useless, leave them dangling in the face of visual evidence.” Peter Turner, past editor of ‘Creative Camera’, London. 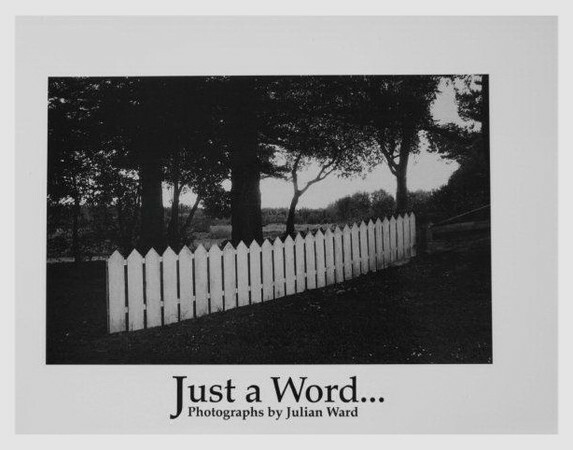 “…a beautifully crafted work of art.” Ans Westra, photographer. 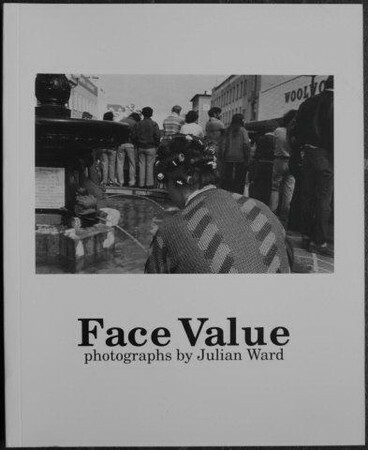 See also the review by Peter Turner in the book Photography and Paradox 1999. Reviews Link - and scroll to the bottom of the page. 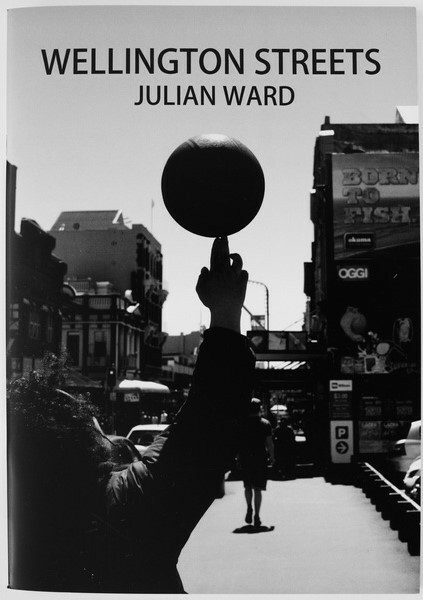 “Some of the photographs in this book are amongst the most moving I have ever seen.” John B. Turner, Senior Lecturer in Photography, Auckland University School of Fine Arts. 2018 Destination India. Exhibition as part of the Pingyao International Photography Festival Sept 2018 Pingyao, China. Curated by John B Turner. 2017 Chinese in Aotearoa. Auckland Museum. One print in the exhibition. See detail here. See print here. 2016 Chinese in New Zealand exhibition now on at Overseas Chinese History Museum, Beijing, curated by Phoebe Hairong Li and John B Turner. 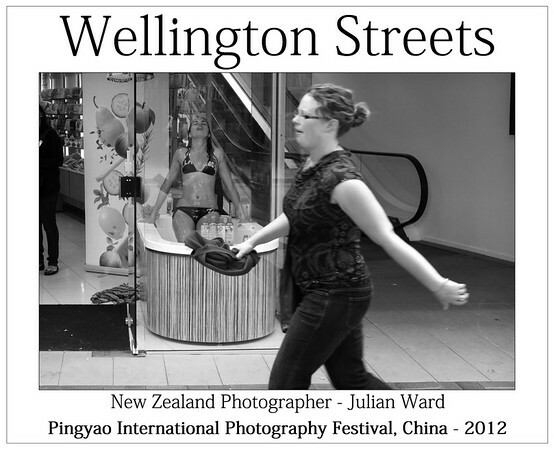 2014 Page Blackie Gallery: Wellington Streets. 2012 Fritz Reuter Gallery, Inglewood – Group show mixed media. 2011 The Photographers Gallery Hawkes Bay – The Sleeping Cow. 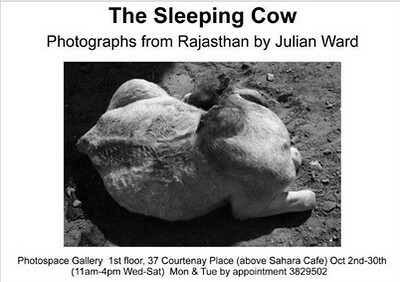 2010 Photospace Gallery – The Sleeping Cow.